NASHVILLE, TN — Music City’s favorite holiday tradition will take the stage Dec. 1-23, 2018 at TPAC’s Jackson Hall. Nashville Ballet premiered Nashville’s Nutcracker in 2008 with a unique concept weaving the city’s glittering past with the awe-inspiring wonder of the classic tale. In its 11th season on stage, Nashville’s Nutcracker has cemented itself in the hearts of numerous patrons and young artists as a treasured holiday tradition. Clara’s enchanted journey begins at the 1897 Centennial Exposition in Nashville. Along with her Uncle Drosselmeyer, Clara meets a colorful cast of characters from faraway lands. When she receives a magical wooden Nutcracker from Drosselmeyer on Christmas Eve, the toy comes to life to lead her on an unforgettable adventure. “Nashville’s Nutcracker was designed to be seen over and over again; you find new little details in it each time that make it exciting and fresh. There’s also something to be said for being swept away by the magic of it all – it’s the sort of enchanting story that inevitably elicits a sense of cheerful childlike wonder in all of us, and I think the nostalgia for that feeling brings audiences back year after year,” Nashville Ballet’s Artistic Director Paul Vasterling tells the Tribune during a recent interview. Vasterling’s original concept and choreography are complemented by an entirely locally produced production including the dancers, production crew, costumers and musicians. 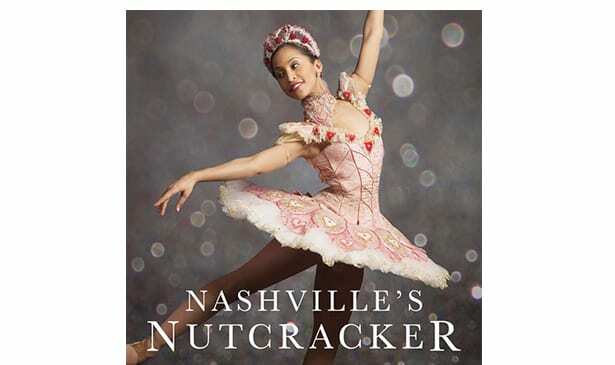 Along with 53 members of Nashville Ballet’s professional company and second company, Nashville’s Nutcracker includes a youth cast of a record-breaking 298 young dancers from School of Nashville Ballet and the community at large accompanied by 60 musicians from the Nashville Symphony.